We’re always stoked on just about anything that comes out of the SS Records camp, but when we came across this new compilation we were pretty blown away. It’s a vinyl release of the 1981 cassette FM-BX 001. 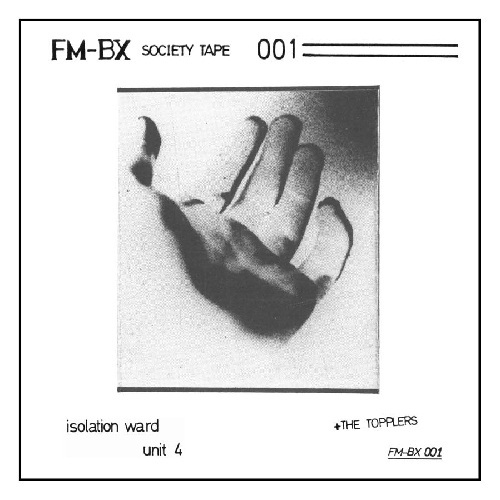 It was the first in a series of cassettes put out by a radio station in Brussels, Belgium and features three bands: Isolation Ward, Unit 4, and The Topplers. We’ve only ever heard of Unit 4, but we’re banking on the other two to be equally as great. If you’re feeling like doing the right thing — pick up a copy here. There are only 500, so you might want to get on it.